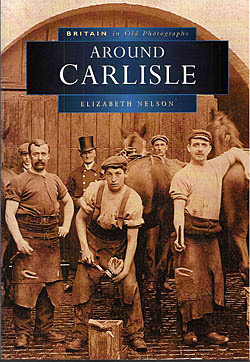 This book contains 25 facts about Carlisle's rich and unusual history, along with accompanying illustrations by Rosemary Cunningham. Caught on the cusp between England and Scotland, Carlisle has a better story to tell than most cities. 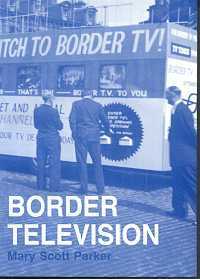 Our canny historian, Jim Eldridge, is just the chap to tell the tale of the Great Border City - from the days of the Celts and Romans right up to the floods and the football team. Jim Eldridge is the creator of the hit Radio 4 series 'King Street Junior' and the author of over 50 books. James Templeton is a memorable man with a wonderful tale to tell. His words leap from the page as he transports you back to a less frenetic world, where people who were usually financially poorer than they are today were much richer in every other respect. 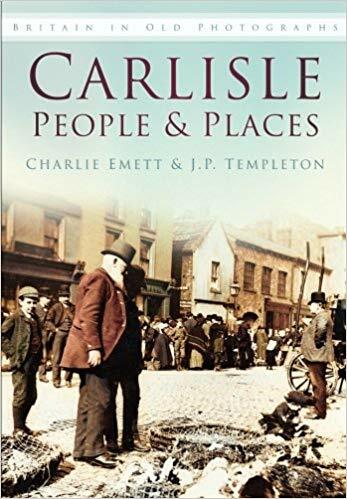 This fascinating selection of photographs illustrates the extraordinary transformation that has taken place in Carlisle during the 20th century. A collection of late 19th and early 20th century black and white photographs of the areas around Carlisle gathered from family albums, local collections and professional photographers. 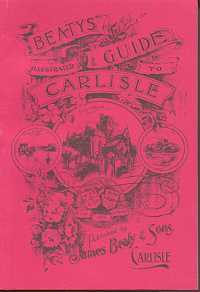 A facsimile of the 1905 Beatys' Illustrated Guide to Carlisle. A collection of personal memories from the local broadcasters who have been involved in the television station over the years. 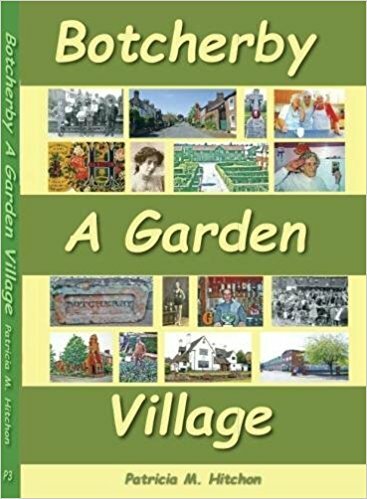 Botcherby A Garden Village is the story of what was a small village near Carlisle that has grown and transformed over the years into a vibrant community several times bigger. 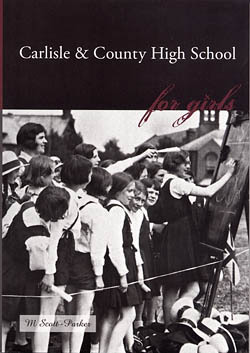 "The High School first opened its doors at 19 Castle Street in January 1884, to admit thirty six pupils...."
Only two British cities have endured for 2000 years – London and Carlisle. 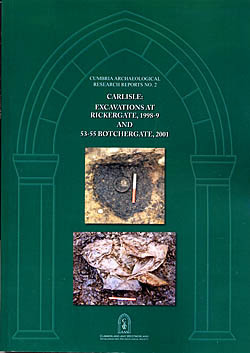 The Cumbria Archaeological Research Reports, of which this is the second, are intended to bring into the public domain archaeological reports on sites within Cumbria that fall between a length suitable for a journal article and the size and nature of material appropriate for a free standing monograph. 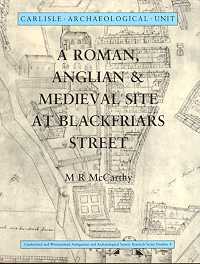 Publisher : The British Archaeological Association/Maney Pub. Vincent White began drawing the buildings of Carlisle as he saw familiar sights being demolished before his eyes. 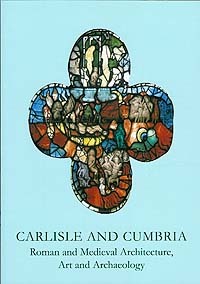 Over the years he has created a unique record of Carlisle and the surrounding villages. 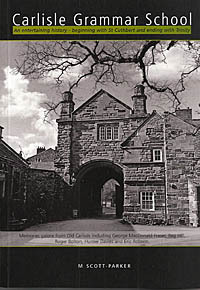 David Weston's history is the first detailed account of how the cathedral buildings have developed and changed over the centuries. This authoratitive and scholarly study will prove invaluable to historians. The closely illustrated text provides a comprehensive record of a wonderful building. 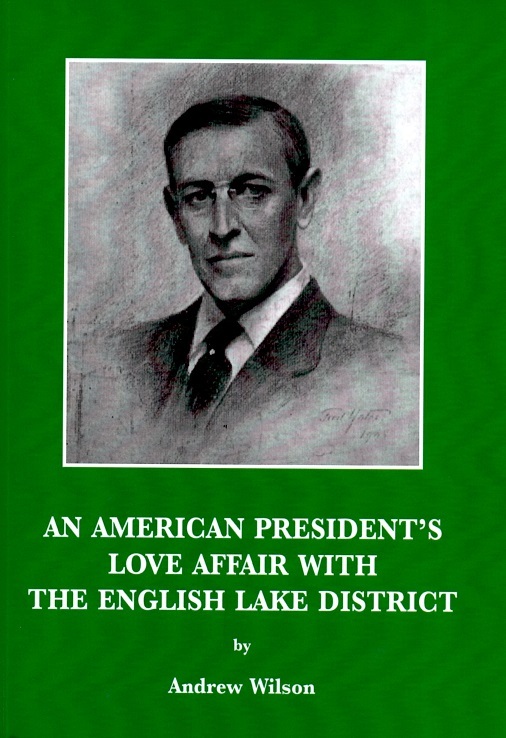 This book has come about because of the determination of one man, Malcolm Ward, to preserve as much of Carlisle Grammar School's history as possible. Carlisle History Tour is a unique insight into the fascinating history of this ancient city, now the county town of Cumbria, and shows just how much it has changed during the course of the nineteenth and twentieth centuries. A photographic guide, showing the changes in the city over the last century. 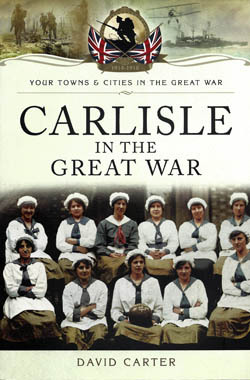 Already an important railway junction, with industrial and commercial interests reflecting its historical position on the border with Scotland, Carlisle became a key settlement in the Great War. 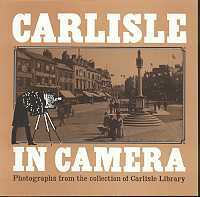 This collection of old photographs of Carlisle features not only the town and its streets and buildings, but also focuses on countryside pursuits such as hunting and fishing, for which the area is famous. 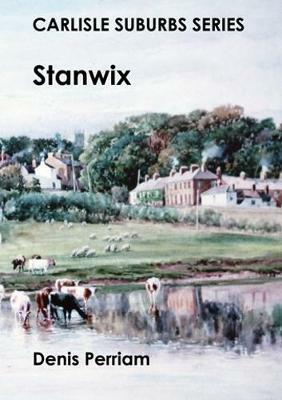 Stanwix only became part of Carlisle in 1912 but that does not mean it lacks history. The medieval village owes its name and existence to the Romans. Running through the parish is the Roman Wall and the fort associated with it provided the stone for the church; the village was placed within the former fort walls. 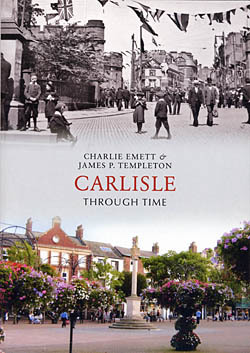 Carlisle Through Time is a unique insight into the illustrious history of this part of Cumbria. Cathy Smith discovered a bundle of old letters in her grandmother's house in Melbourne Street, Carlisle that spanned 50 years.